Have you ever been in a relationship where communication doesn’t translate? You say one thing and your partner hears another. That’s my relationship these days with the NFL and America’s favorite bookie, Dr. Milhouse. Clearly, he is to blame. After all, how can I possibly explain the fact that I’m winning my very own pool by a substantial margin (see rather impressive scores below) but my picks aren’t translating into winning tickets at the window? There must be a problem somewhere. Perhaps not enough bran in my diet. Fortunately, award-winning author Gary Chapman has come to my rescue. His Five Languages of Football, er… Love for Football… er… Love (I think that’s the name of it, I haven’t really read it) has sold 11 million copies so who better for me to consult on this week’s winners? And now for this Sunday’s lines. 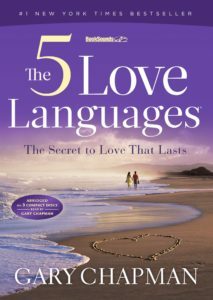 Remember, if you haven’t entered the contest yet, it’s not too late to speak the language of love. Click here for rules. Note: this is the first week of byes so Carolina and Washington have the Sunday off. You, however, do not. Now, in accordance with my desire to become a better gambler, to better translate my innermost hunches into cash dollar bills, here are my language-loving-est picks for Week 4. FIVE POINTS – “Words of Affirmation” – The team-without-a-home Los Angeles Chargers have been showered with words of affirmation all season long… or at least all pre-season. The Chargers over/under win total was nine-and-a-half which I felt was high. I mean, we are talking about the Chargers, right? They only win games that are irrelevant. They are currently 1-2 but those losses came against the two best teams in the league, the Rams and the Chiefs. The Chargers are not as good as those two teams… but they are 10.5 points better than a team that just lost their starting quarterback. Give me the Chargers to cover over the Niners. FOUR POINTS – “Physical Touch” – Remember last week when we wondered what the hell was going on with the Steelers? All they needed was a sunshine state getaway to remind them where they stand in the NFL’s pecking order… which is pretty high, whether they have LeVeon Bell or not. This Sunday night, they host the Baltimore Ravens and are only laying a field goal. This game stands to be extremely physical, with both teams touching each other up like they always do in these AFC North matchups. The Steelers cover, not so lovingly. THREE POINTS – “Acts of Service” – I’m not sure what to make of these Titans other than they’re a team I should never gamble on. They host the Eagles this weekend and are getting four points. Seven months ago, the Eagles gave the greatest act of service imaginable to their seriously deprived and grossly misbehaved fan base: a Super Bowl victory. This week, they’ll inch closer to post-season form by performing another act of service over Tennessee by covering the four. TWO POINTS – “Receiving Gifts” – Matt Ryan threw five touchdown passes against the New Orleans Saints last Sunday. One would think that would be enough to win a football game. It wasn’t. Atlanta’s continued inability to move the ball on the ground is a big reason they’re 1-2. In other words, the Atlanta Falcons continue to give gifts to opponents who are more than happy to receive them. The Bengals had a tough go at Carolina last weekend but should be ready to compete against another NFC South opponent who, if they’re not careful could be on the outside of the playoffs looking in. I’ll take the Bengals plus the points. ONE POINT – “Quality Time” – Not all that long ago, Sam Darnold was the toast of the town, taking down the Detroit Lions in Week One. Then he ran into the Dolphins and Browns in Weeks Two and Three, all in a two-week span. Three games in eleven days means Darnold and the Jets have been putting in some quality time. We saw what the Jets were capable of against a Lions team that is not as bad as people think. This week, the Jets head to Jacksonville and are getting over a touchdown. The Jags are coming off an inexplicable home loss which tells me they still have work to do against a Jets team that has had time to rest and reassemble their game plan. The Jets will keep this close enough for me to take the seven-and-a-half. After how ugly Sam Darnold played against a solid Browns defense (and a pumped up Cleveland crowd), it’s hard not to expect a similar showing against one of the most ferocious defenses in the league. The key to covering lands with Blake Bortles. The Jets pass defense allows 204.0 ypg and has more INT’s (5) than TD’s allowed (3). Look for the Jags defense to overwhelmingly win the turnover battle, and in a handful of days, we’ll all be rich because of it! Yes, the Seahawks are not the dominant force that we are used to in recent years, but Russell Wilson is still running the offense and Doug Baldwin is expected to return from injury. Meanwhile, the Cardinals – with home field advantage – still are dead last in the NFL in both passing and rushing offense. Toss in rookie Josh Rosen, who will be making his first regular season start (a first major “test”, so to speak. This one could get out of hand quick. With all this in mind, Vegas has set the line at just three points. The Falcons are really being challenged from a depth perspective, especially on the defensive side, after losing Deion Jones and Keanu Neal, among others. Devonta Freeman is also out for another week, leaving a lack of depth in the run game. Atlanta will need to avoid falling into a situation like “The Money Pit”, where everything is falls apart around them. How long will it take to clean up the injury bug? Two weeks. OK, that reference may be a stretch, but this pick is no laughing matter. Give me the Bengals and the points in tub-crashing fashion. Three times a charm with the Pats? Clearly, I am living and dying with New England after taking the Patriots in the previous two weeks. The Dolphins are undefeated and looking to build an even larger lead in the division, while New England has floundered, ranking in the bottom ten against both the pass and the run. Will this be the week Josh Gordon gets playing time? Can the New England offense get on track against a Miami pass defense that has allowed just two TD’s, yet is ranked 29th in yards allowed? These are all open questions, leaving me to decide to focus on the fish and instead “cut bait” with the Brady-led Patriots. I’ll take the Patriots to right the ship, cover at home. Marcus Mariota isn’t healthy and the offense has been inconsistent. The Titans pass offense is in the bottom five in passing yards. That leaves the run game, which will be facing an Eagles defense that is ranked first in the NFL, allowing just 61.7 ypg. This entry was posted in Featured, Life of Sports Chump, Pigskin and tagged NFL, NFL Pick Em Contest by Chris Humpherys. Bookmark the permalink. So we’re not off to a great start. Time to go on a little run.